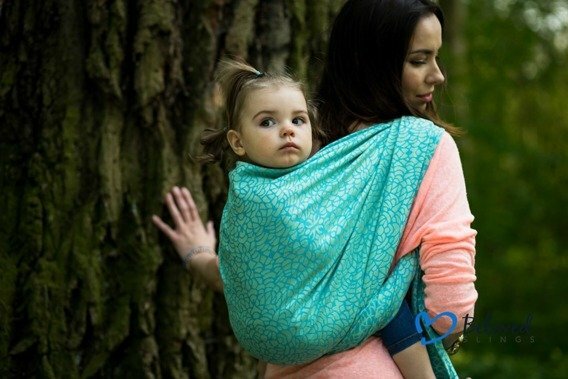 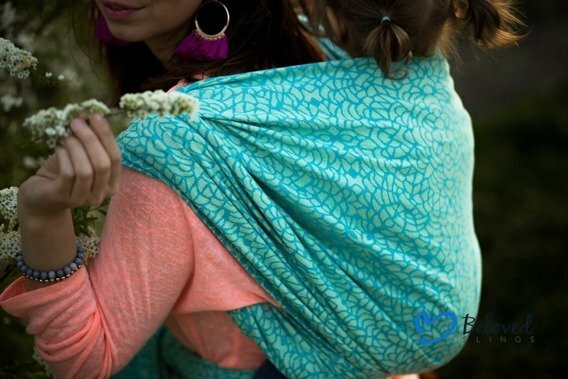 Beloved Ring Sling Flourish size M - You will find here flowers and laces. Everything you like. This jacquard design ( turquoise and white) is made of 100% combed cotton, 270 gsm (after washing/shrinking).